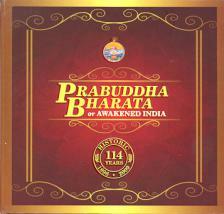 Prabhudda Bharata (Awakened India) was started by Swami Vivekananda in 1896. The DVD includes 114 years of the magazine and comes in a nicely printed gift box. The DVD covers 114 years of the magazine. It can be exciting to go through the magazine as printed years ago. Read numerous reminiscences of the old days by the great early swamis of the order, peruse articles by the disciples of Sri Ramakrishna and other great writers, and mourn as you read the announcements about the death of the Holy Mother and the other disciples of Sri Ramakrishna. This DVD can keep you occupied for hours. How to search for an article. How to search for a word. To search for a word in the entire archive click on the search button and enter the word in the 'Word' field. This facility can be used along with the facility provided to search for an article. Q. AutoRun fails to start the archive. 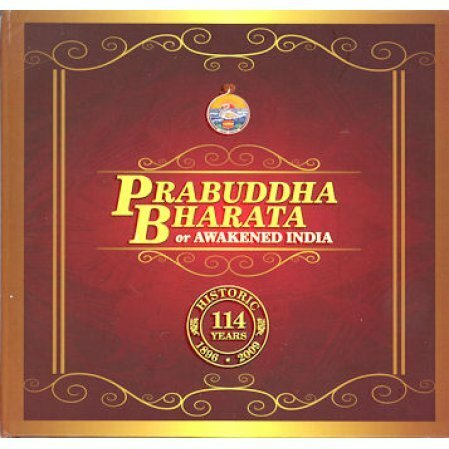 A. Click on the file 'PrabuddhaBharata' in the DVD drive. Q. A runtime error is encountered. A. Copy the entire folder 'FirefoxPortable' situated in the DVD drive to C: drive of your computer. Then click on the file 'pb' in the DVD drive. Q. I am using Windows 98 and the archive does not start or a run time error is encountered. A. For Windows 98, search facility is not incorporated. Please install the Firefox browser and the DjVu plugin provided in the DVD inside the folder 'Software'. After the installation is complete please click on the file 'pb_reduced_support' in the DVD drive to open the archive. In Windows 10, use Microsoft Explorer to see the DVD. Right click on the DVD, and click "Open Autoplay."